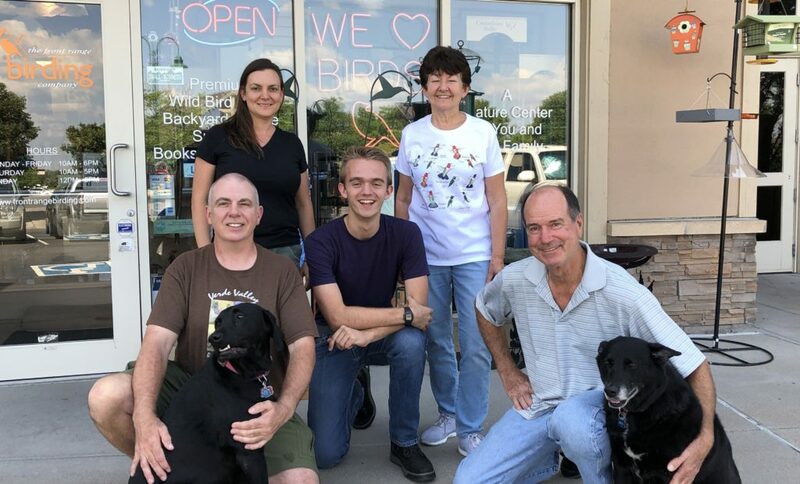 Welcome To Front Range Birding – Metro Denver and Boulder County’s largest Independent Wild Bird Stores. From our Littleton and Boulder stores, as well as online, we offer an extensive selection of binoculars, spotting scopes, premium wild bird seed, bird feeders, nest boxes, and gifts for all nature and bird lovers. Near C-470 and Kipling, behind Texas Roadhouse. Open 10am-6pm M-F, 10am-5pm Saturdays, 12pm-5pm Sundays. Southwest of Arapahoe and 55th, behind Wendy’s by Ozo’s Coffee and Snarf’s and directly beside Pica’s Taqueria. We here at the Front Range Birding Company believe in providing our customers with the very best a wild bird store has to offer. We offer up-to-date nature news, information, great products such as sports optics and wild bird food, and superior service. Our birding experts will help you enjoy nature’s best both in the backyard and in the field. We strive to create an inviting wild bird store atmosphere for bird and nature lovers in our home state of Colorado. We can help you and your family to enjoy wildlife in the backyard and in the field. Whether you are a casual bird watcher, a homeowner establishing a backyard habitat, or a certified field ornithologist, there is something of interest for you in our nature stores. The FRBC Nature Stores are conveniently located in the Southwest Denver-Metro Area and Boulder. You will find the finest help in person at the store, on the phone, or online from our knowledgeable and courteous staff. Your complete satisfaction is our ultimate goal. Welcome to the exciting world of Front Range Birding!